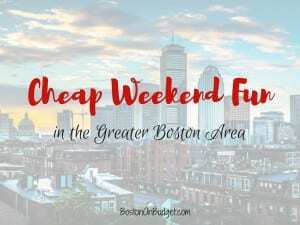 Cheap Weekend Fun in Boston for September 16-17, 2017! 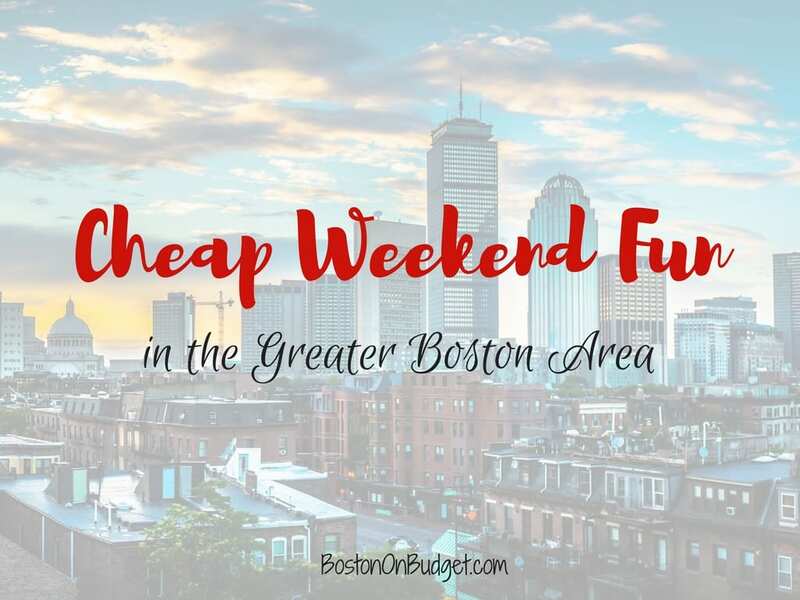 There are SO MANY fun and free things to do this weekend in the Greater Boston area! As always, please let me know in the comments below if I missed any fun and cheap events for this weekend! MixFest 2017: Saturday, September 16, 2017 at the DCR Hatch Shell. Free concert at the DCR Hatch Shell sponsored by Mix 104.1 with music by Kelly Clarkson, Andy Grammer, and Blondie. Doors open at 11AM. Boston Local Food Festival: Sunday, September 17, 2017 on the Greenway. Enjoy this free outdoor food festival featuring farmers, local restaurants, food trucks, and many more organizations focusing on healthy foods and healthy living. Boston Social Fitness Festival: Saturday, September 16, 2017 at City Hall Plaza. Enjoy this day-long fitness festival to help Boston get moving with a lot of free fitness opportunities. Guinness Oysterfest: Saturday, September 16, 2017 from 12-11PM at The Lawn on D. Celebrate half way to St. Patrick’s Day with $1 oysters, a Guinness draft truck, live Irish bands, Celtic dancers, and more! South Boston Street Festival: Saturday, September 16, 2017 in South Boston from 11-4PM. Enjoy live entertainment, great food, local merchants, children activities, and much more! CollegeFest: Saturday, September 16, 2017 at Fenway Park. College Students, enjoy live music, meet with brands, and grab a lot of free swag! Must have active college ID to enter. Let’s Dance Boston: Sunday, September 17, 2017 on the Greenway. Enjoy free live music and dancing on the Greenway for the return of Let’s Dance Boston. South Street Diner Customer Appreciation Day: Sunday, September 17, 2017 from 2-6PM at the South Street Diner. Head to the South Street Diner for their annual Customer Appreciation Day with free pony rides, music, free burgers and hot dogs, and more. 14th Annual Revels RiverSing: Sunday, September 17, 2017. Join thousands of voices in song as Revels waves goodbye to summer and welcomes in the fall with this annual tradition in Harvard Square. Roslindale Porch Fest: Saturday, September 16, 2017 from 1:30-5:30PM in Roslindale. Head to the porches of musicians in Roslindale for a day full of music and fun. Greek Fest 2017: September 15-17, 2017. Head to Brookline to share in the tastes and sounds of Greece. South End Open Studios: September 16-17, 2017 from 11-6PM. Over 200 local artists will be sharing their artwork in the South End for this once a year, back-stage opportunity open to the public.